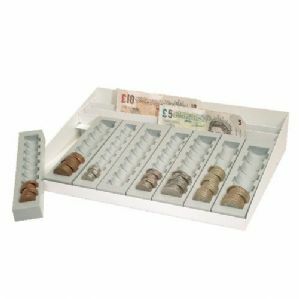 Perfect for organising coins, banknotes and receipts, this Helix Counter Tray features 8 removable coin compartments, each with a counting scale for easy and quick identification of the value. 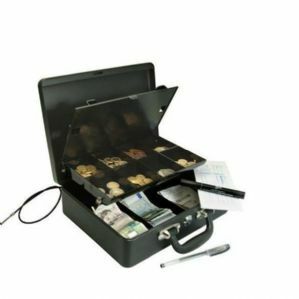 The tray also features 3 additional compartments for banknotes or receipts. Ideal for retail, hospitality and other cash handling environments, the robust metal tray has anti-slip feet for heavy duty use.